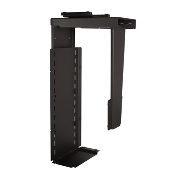 Pay with any credit card in a secured page, NO PAYPAL ACCOUNT REQUIRED. Payments for ErgoPro.com are made at PayPal, but you do not need to own a PayPal account to complete a transaction using your credit card. Simply enter your credit card’s data directly at PayPal and complete your payment. 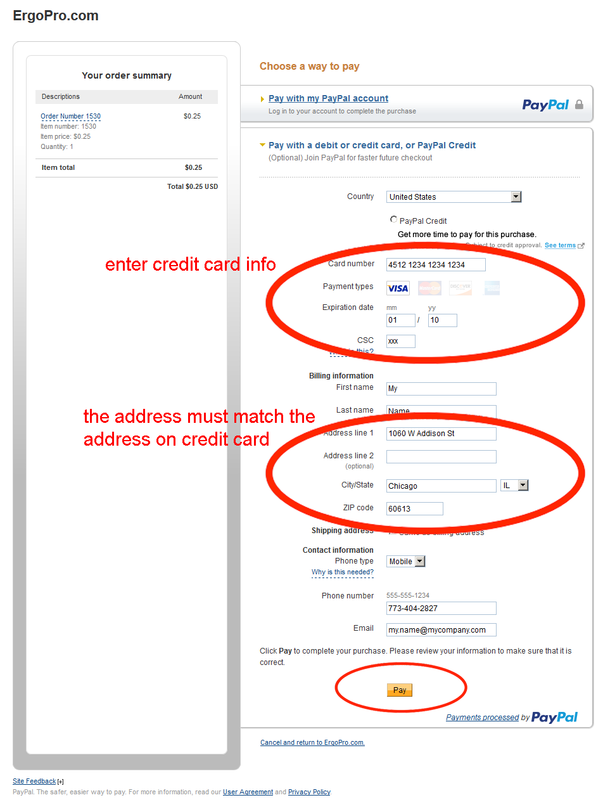 You do not need to register a PayPal account. 1. 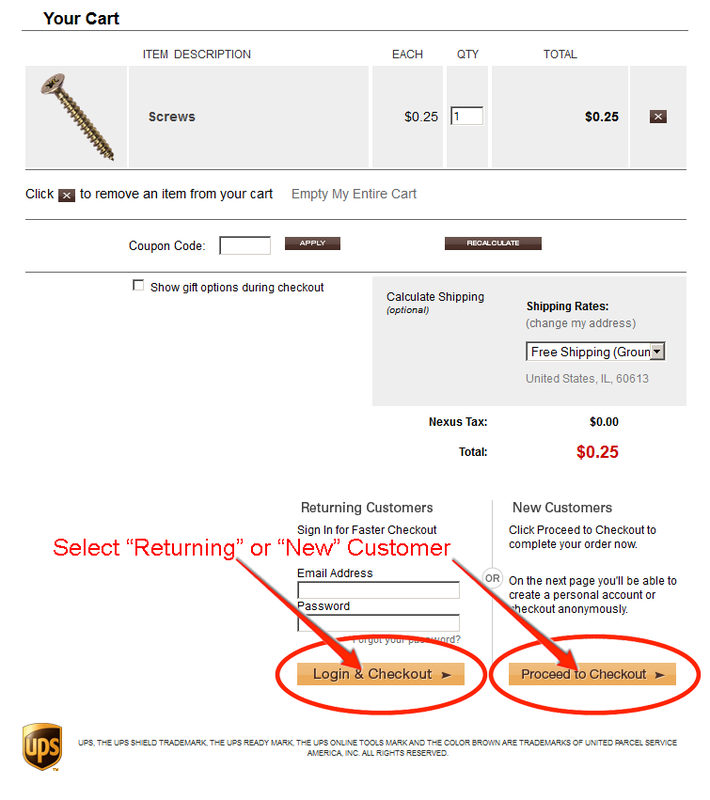 At the shopping cart checkout select either "Returning" or "New" customer to proceed to the Billing Information Page. 2. Enter you billing information. 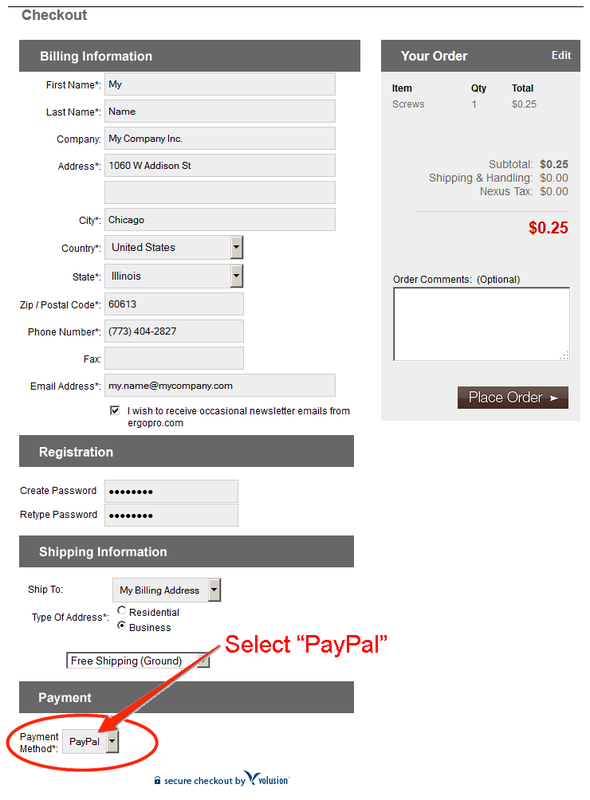 Select "PayPal" as your payment method, PayPal is our secure credit card processor, you do not need to have or sign up for a PayPal account. 3. Select "Continue" to proceed. 4. 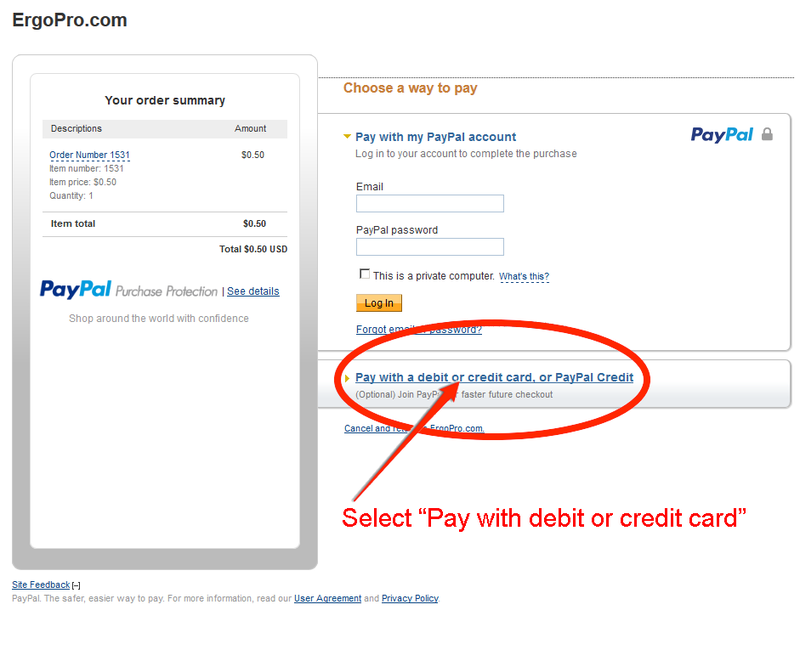 Select "Pay with debit or credit card, or PayPal Credits". 5. Enter credit card information. Click PAY to complete your transaction.